Decentralized Applications (DAPPS): What Are They & How Do They Work? Home Guides Ethereum Guides Decentralized Applications (DAPPS): What Are They & How Do They Work? The world of cryptocurrency is filled with acronyms and unique terminology. Whether you are a new investor, a day trader or just a person who is interested in the blockchain concept, understanding this unique language is essential. One of the most unusual acronyms in the cryptocurrency world is DAPPS, short for decentralized applications. These decentralized apps are everywhere, but what are they exactly, and how do they work? The importance of the decentralized application goes far beyond the world of cryptocurrency – to the Internet itself. The nature of the Internet and how it was initially designed means that users do not retain complete control over the information they share when they visit a website. Many experts consider this fact a fundamental flaw in the design of the Internet. Ethereum, one of the most popular cryptocurrencies in the world, is attempting to use its blockchain in a manner that helps correct this inherent flaw in the design of the Internet. Decentralized applications are designed to connect users with one another, without the use of a middleman to manage the information that user provides. This is a much different concept than the traditional website, which relies on the use of a middleman to complete transactions. When you bring up the Uber app on your phone, your information goes to Uber, and the site connects you with available cars in your area. Without the Uber middleman, there is no car and no safe ride home at the end of the night. The DAPP concept is much newer and much harder to define. In fact, there is not one accepted definition of a DAPP, but there are a few common characteristics that all DAPPS have in common. For one thing, all DAPPS are open source, giving them a higher level of transparency than other, more centralized, applications. DAPPS are also unique in that they do not have a central point of failure. This helps to make them more robust and more resistant to hacking and other online dangers. There are three distinct types of DAPPS out there. The first kind of DAPP is an app that manages money. This first type of DAPP allows users to exchange Ethereum, or some other cryptocurrency, to settle a contract with another user. 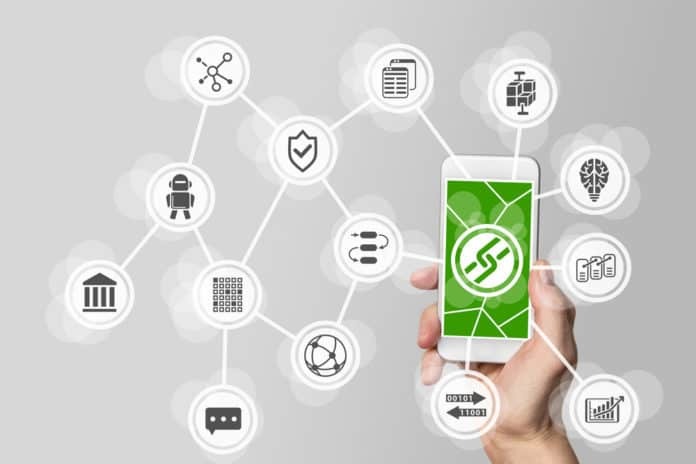 In this kind of transaction, the individual making the payment uses the network’s distributed computer nodes to distribute the data and make the payment. The second type of DAPP is a DAPP in which money is involved, but another piece is required to make it work. This kind of DAPP combines money with data from outside the blockchain. To do this, they either need some centralized portion of their setup, or they will need to use a blockchain based “Oracle” to connect to the outside world. An insurance agent, for instance, may use a DAPP that is dependent on external information, like accident data or rates of crop failure in a specific location. Money still changes hands, but the transaction is dependent on external information as well as the blockchain. The third and final category of DAPP is known merely as the “other” category. That type of DAPP can include things like voting and governmental systems. Many people feel that the blockchain concept could eliminate voter fraud, hacking and other interference, making elections far more secure than they are today. This is an example of an “other” DAPP, one that could one day be used by governments and election boards around the world. Then there is the decentralized autonomous organization or DAO. This is an especially ambitious use for the DAPP, one with the goal of creating a sort of leaderless organization. In a DAO, the rules governing how individual members can vote and how funds can be released are decided at the outset, and the decentralized application allows the organization to run in a largely autonomous manner. These decentralized autonomous organizations are still relatively rare, but they could become far more common in the future. Libertarians and small government advocates are looking closely at the DAO concept, and others may join in as the concept becomes more popular. The world of cryptocurrency is known for its decentralized nature, and that decentralization is at the heart of how these unique payment systems work. The decentralization of Ethereum and other cryptocurrencies help to create a secure, anonymous and safe form of payment, something that has powerful implications for the future of business, government, and individuals. Previous articleBitcoin – Is It Legal?